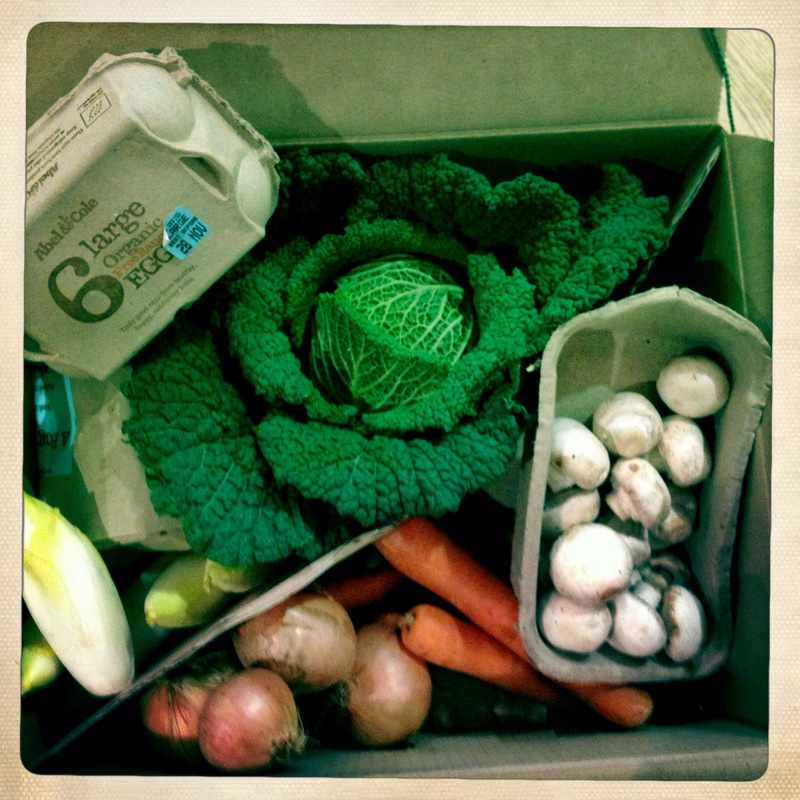 Received: New potatoes (again); savoy cabbage; carrots; mushrooms; white onions; chicory (and eggs). 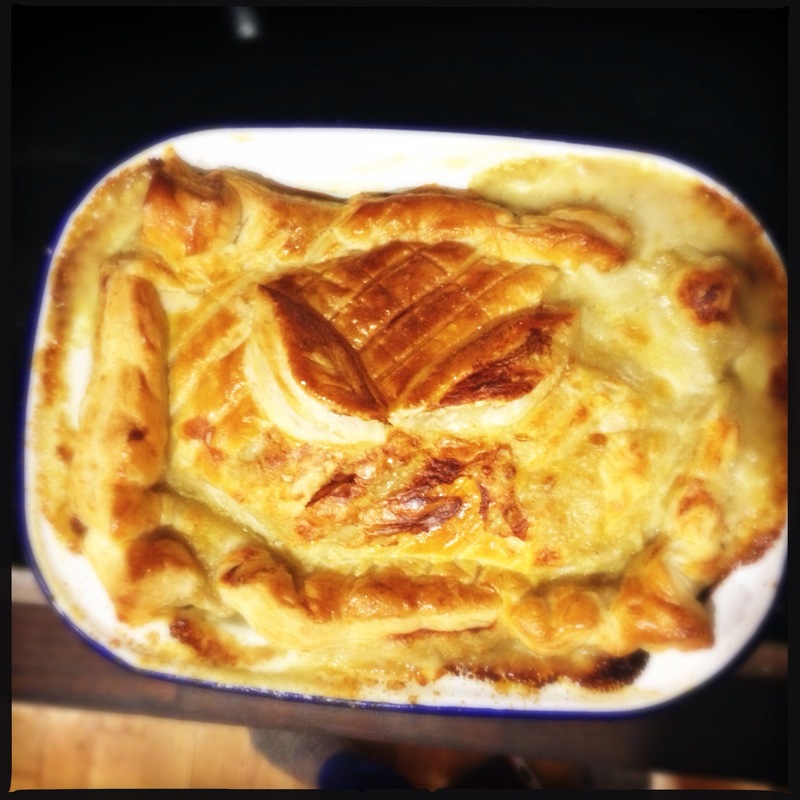 The mushrooms went into this extremely rustic (lazy) chicken and mushroom pie, served alongside the carrots, buttered and mashed. 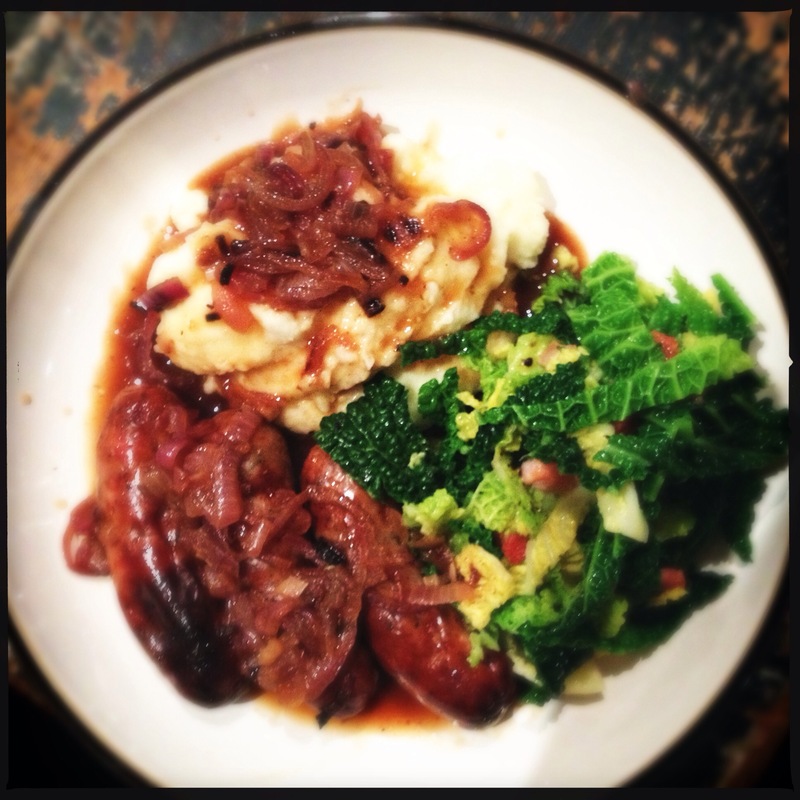 I really don’t know if there is any better comfort food than sausage, mash and onion gravy – perfect bedfellows for the savoy cabbage sautéed with pancetta. 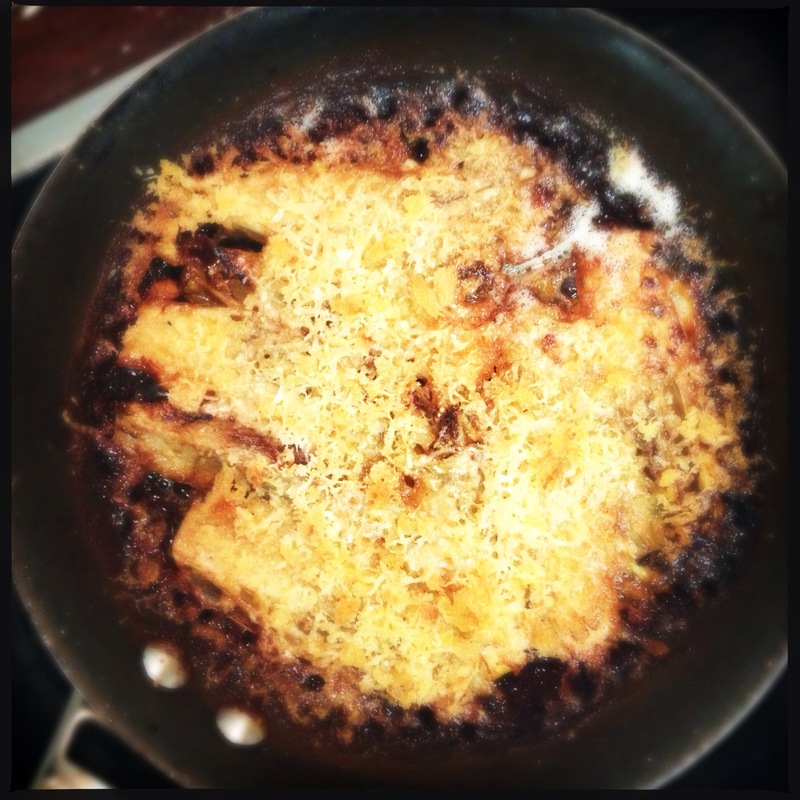 I was tempted to throw the chicory in the obvious blue cheese and walnut salad, but then found this recipe for a chicory gratin and decided to give it a go. 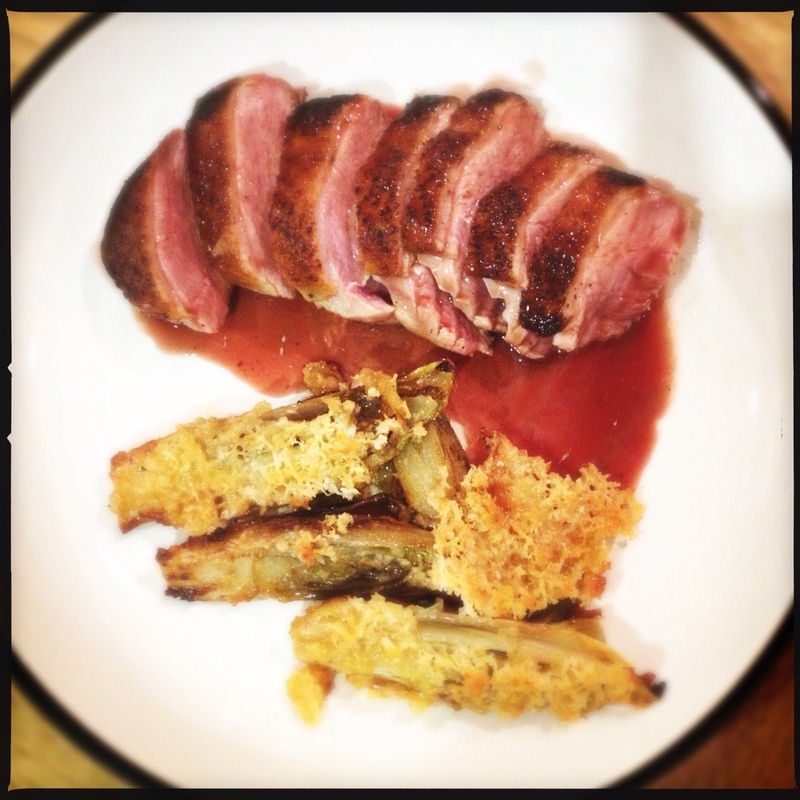 It was delicious, served with perfectly pink duck breasts. The onions were used in general day-to-day cooking. 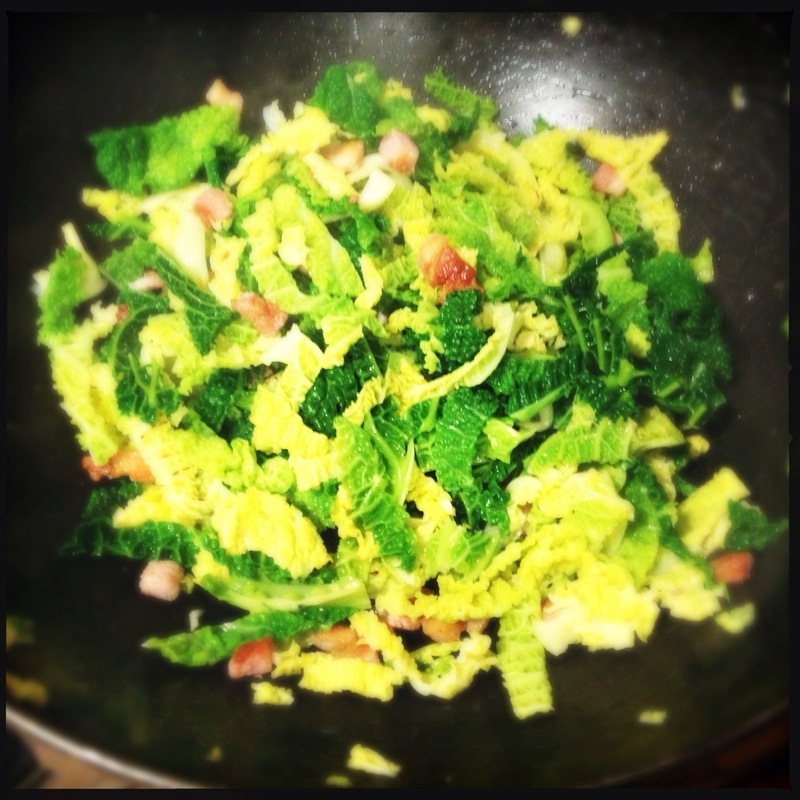 Wastage: potatoes (again) – we just don’t eat much potato in F&G towers. As always inspirational, I realise just how lucky I am when I get playback of what you cook for me. I am such a lucky fella! I was looking forward to the next instalment. A tasty menu. Thanks for letting me know …. all fixed now!